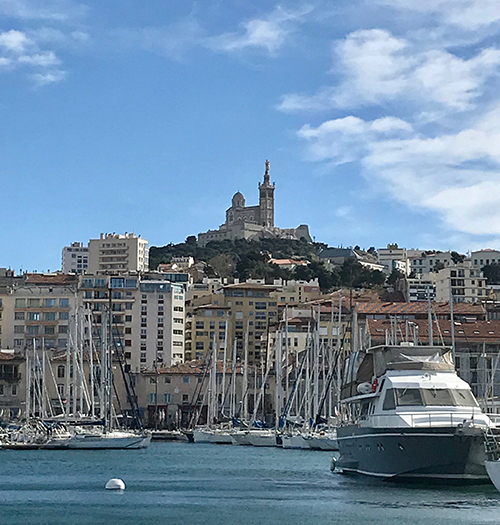 As with most port cities, Marseille has been the focal point of France’s evolution ever since its founding 26 centuries ago. The historical heritage and cultural significance of France’s oldest city, along with ambitious plans for revitalization have reinforced an important tourist offering. 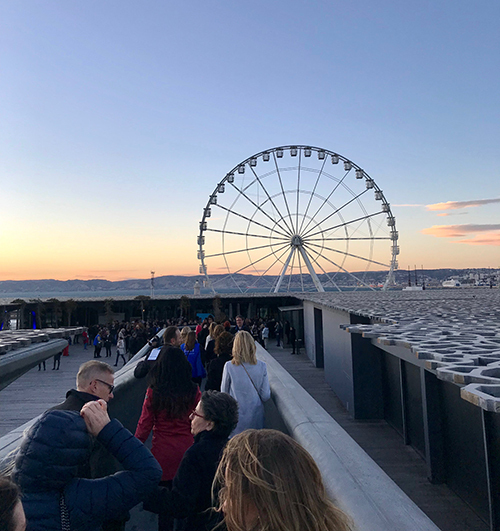 The ancient Mediterranean port is a rising travel star -- and Marseille was only too happy to show it off as a first-time host of the Rendez-Vous En France Trade Show 2019. Some colourful street art in Le Panier, Marseille's oldest district. Marseille’s assets haven’t always been recognized by much of the French population and international tourists -- who often snubbed the port city for being crime-ridden, unattractive and dull -- but those who saw Marseille as little as a decade ago may not recognize the jewel of the Mediterranean that it is today. The Good Mother - keeping watch over the city at the summit. The 1998 FIFA World Cup in France opened the world to Marseille, which hosted a number of matches, and in 2013, the city reached a critical turning point when it was named European Capital of Culture. This recognition caught the eyes of the French, the international public, and gave the Marseillais a newfound sense of confidence too. Over more than 20 years, the Euroméditerranée urban renewal project, a collaboration between the City of Marseille, local authorities and the federal government, has invested $7 billion worth in projects that changed the face of the city, with the goal of creating a sustainable and innovative living space for residents, tourists and businesses alike. opening party, welcomed by a spectacular sunset and a view of Marseille's old port. The city's Big Wheel juts out from the horizon. 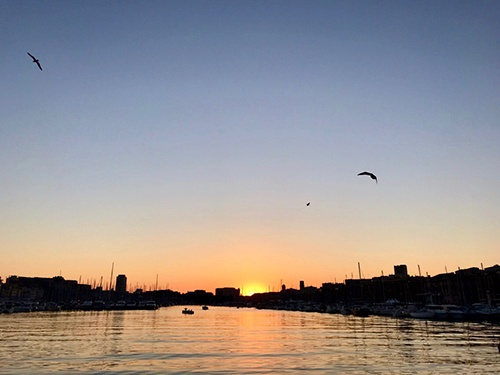 Marseille is a city straddling tradition and modernity in everything from its architecture and history to its art de vivre– the knowledge of how to enjoy life. 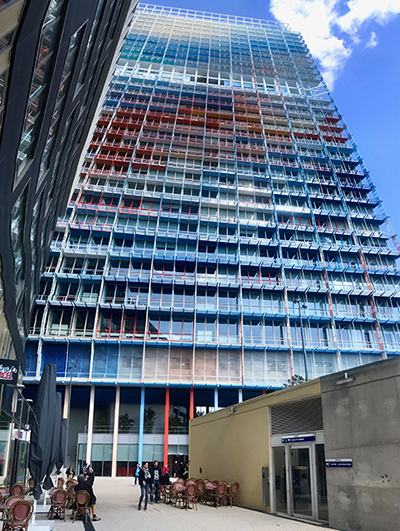 The face of “new” Marseille can be recognized in projects like the Docks of Marseille and the Terrasses du Port shopping district, or architect Jean Nouvel’s La Marseillaise skyscraper with a concrete facade painted in 27 shades of red, white and blue.Marseille is also now home to the first national museum devoted to the Mediterranean, the Museum of European and Mediterranean Civilizations (MuCEM). More highlights include Notre-Dame de la Garde, a majestic basilica of immense proportions known as the “Good Mother,” which sits atop Marseille's highest point and offers breathtaking views. 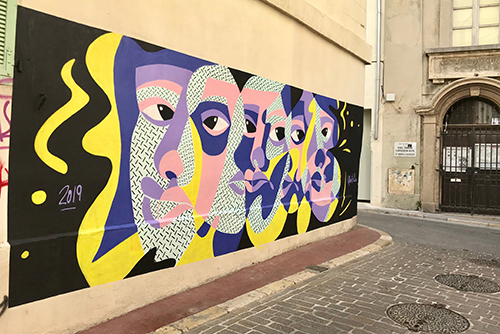 There’s colourful street art along the narrow streets of the Panier district, the vibrant Vieux Port and the famed Chateau d’If, a fortress and later a prison that was a key setting for Alexandre Dumas’ The Count Of Monte Cristo. The Docks of Marseille is a historical building converted into office spaces as part of the Euroméditerranée project. The interior is created to incorporate several different themes and makes a pleasant walk to admire the architecture and design. 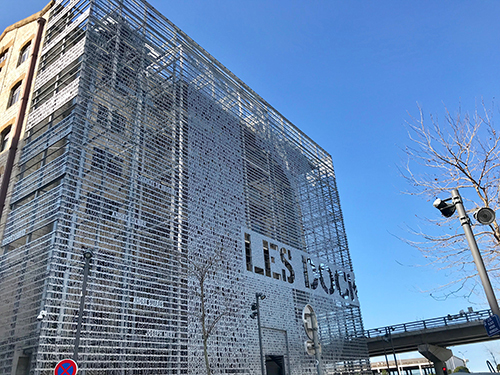 Abuzz with life year-round, Marseille is poised to be the first French city to host the 13th edition of the Manifesta Biennial art fair in 2020. In 2023, Marseille will host the Rugby World Cup and in 2024, the Sailing and Football events for the Summer Olympics. Marseille’s rise to tourism stardom has not gone unnoticed by Canadians. Since Air Canada added direct flight service from Montreal to Marseille last year, the number of Canadians visiting the city has skyrocketed. Between 2012 and 2016, when only Air Transat had direct flight from YUL to MRS, an average of approximately 51,000 air passengers flew to the city. In 2017, when Air Canada added direct YUL-MRS airlift, that number leaped to 82,538, a 61% increase over 2016. The growth continued last year, when a record 91,029 passengers flew with the two carriers from Montreal to Marseille. Currently, both carriers ramp up their airlift in the summer months, with fewer flights in spring and fall and none during winter. Romain Wino, Inbound Traffic Development Manager with Aéroport Marseille Provence, says the airport’s big objective is to convince AC & TS to offer year-round service. “We do not aim to have the same number of weekly connections in summer and in winter – it makes no sense, because the market is decreasing as well -- but if we have up to eight weekly flights between Air Canada and Air Transat in the peak season, we are working with these two airlines in order to keep two weekly flights during the winter,” says Wino. The Provence-Alpes-Cote d’Azur region in which Marseille is located is France’s second most-visited region after Paris and while the poetic capital will always retain its unparalleled style and aristocratic charm, Marseille is proving that it, too, has something special to offer. People gather at the old port to socialize and watch the sun set.